This article is the 2nd part of "Beginner's Guide to HTML5/CSS3" series. This article will explain you basic HTML elements, their structure and implementation with interactive examples right away. 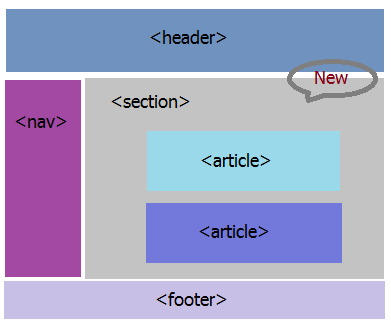 We will also explore some basic HTML5 Tags. <img> Start tag: required, End tag: Not required Just creates a space to show the image from the source specified. Here src is BOB's location URL. In case you want to know more about these attributes, you can click on them and learn more. There is one new attribute include in HTML5 that is crossorigin Let me discuss more on that. Its values are anonymous and use-credentials. This attribute indicates if the image is fetched using CORS (Cross-origin resource sharing) or not. CORS-enabled images can be reused in the <canvas> element without being tainted. A cross-origin request is performed, but no credential is sent. If the server does not give credentials to the origin site (by not setting the Access-Control-Allow-Origin: HTTP header), the image will be tainted and its usage restricted. A cross-origin request is performed and credential is sent. If the server does not give credentials to the origin site, the image will be tainted and its usage restricted. A Hyperlink is a reference for data, which is clickable. There are three kinds of Hyperlinks as described below. Let's discuss more on the important Attributes. which will display like this: Let's go to CodeProject. One important thing is "Link text" can be an image or any other HTML element. Now the image turns to a Link, click on the image to move to Code Project Home Page. _blank - Opens the linked document in a new window or tab. _parent - Opens the linked document in the parent frame. _self - Opens the linked document in the same frame as it was clicked (this is default). _top - Opens the linked document in the full body of the window. framename - Opens the linked document in a named frame. The id or name attribute can be used to create a bookmark inside an HTML document. These Bookmarks are not displayed, they are invisible to the reader. which will render like: Take me to "Images and different kinds of hyperlinks". Appears at the head section of HTML Document. The tag defines the relationship between a document and an external resource. Here relationship is defined by rel attribute and type says the MIME(Multipurpose Internet Mail Extensions) type of Document. You can see that three Style Sheets are linked to the HTML Page. The Styles or CSS Properties defined inside these Style Sheets will be applied to respective elements in the HTML Page. The tag specifies the base URL/target for all relative URLs (refer following Example) in a document. There can be at maximum one element in a document. To represent lists of information in our HTML Page, we can take help of certain tags defined for them. All lists must contain one or more list elements. That simply means Lists can be nested. Let's look at different types of Lists and their Syntax. Unordered List - <ul> Start tag: required, End tag: required A List represents list of information in either Ordered or Unordered or Descriptive way. Let's explore one by one. Refer Demo Column of table above to see how it renders on browser. A description list is a list of terms/names, with a description of each term/name. The <dl> tag defines a description list. The <dt> - defines terms/names and <dd> - describes each term/name. <table> Start tag: required, End tag: required HTML Table is used to arrange data (text, preformatted text, images, links, forms, form fields, other tables, etc.) into rows and columns of cells. This is the Header Section. Let's discuss more on HTML Tables. The <td> elements are the data containers in the table. The <td> elements can contain all sorts of HTML elements like text, images, lists, other tables, etc. Can be defined with <table>, <tr> and <td> tags. Refer the Demo column of table above to see how it renders on browser. Can be defined with <table>, <tr>, <td> and <th> tags alongwith <thead>, <tfoot> and <tbody> tags. Here colspan="3" attribute defines that the cell would spread over all three columns of the Table. Can be defined with <table>, <tr> and <td> and <th> tags. These tags are used emphasize the text. Start tag: required, End tag: required Specifies Stroked text. Previously <strike> was used for this purpose, which is not supported in HTML5 anymore. Don't strike me. Strong - <strong> Start tag: required, End tag: required It defines important text (usually bold), but allow for the actual styling to be controlled via CSS. Hence preferred in modern web pages. The <b> tag was used in previous HTML versions for Bold Text, which is suggested not to to use by HTML5 specifications. I am important and Bold. Emphasize/Italics - <em> Start tag: required, End tag: required It renders as emphasized text (usually italics), but allow for the actual styling to be controlled via CSS. Hence preferred in modern web pages. The <i> tag was used for italics in previous HTML versions, which is suggested not to use in HTML5. I am Emphasized. Following are some common tags. Big - <big> Start tag: required, End tag: required Specifies Big text. Content is shown in large type. The <big> tag is not supported in HTML5. Use CSS instead. I am Big. BlockQuote - <blockquote> Start tag: required, End tag: required Specifies Italics text. Content is shown as an indented block; should be used only for long quotations. Break - <br> Start tag: required, End tag: not required Force line break within paragraph. This is a line before break. Now this line is after break. Center - <center> Start tag: required, End tag: required Content is centred on page (can include paragraphs etc). The <center> tag is not supported in HTML5. Use CSS instead. I am at center. Delete - <del> and Insert - <ins> Start tag: required, End tag: required Used to indicate a deletion from a previous version of a document. Normally combined with ins (insert) which marks the new version. Rendered in strike-through font like <S>. I am a row cell. Division - <div> Start tag: required, End tag: required A Division contains elements, which defines a group. Divisions can be designed using CSS styles. I am inside a div having background color red. Font - <font> Start tag: required, End tag: required Used to define characteristics of font, according to attributes e.g. SIZE, COLOR, FACE. SIZE sets size, 1-7 e.g. SIZE="5". COLOR sets colour of text e.g. <font color="#FF0000"> makes text red. The <font> tag is not supported in HTML5. Use CSS instead. My size is 5. <h6> Start tag: required, End tag: required Headings (levels 1-6, i.e. h3 is a subheading within a h2 subheading). Mark the size of each heading. Note: Here extra styling is applied by Code Project Styles. Horizontal Line - <hr> Start tag: required, End tag: not required Draw horizontal line across page; used to indicate break between sections. None of the layout attributes are supported in HTML5. Use CSS instead. Paragraph - <p> Start tag: required, End tag: required A Paragraph. I am inside one Paragraph having background color green. Pre- formatted - <pre> Start tag: required, End tag: required Pre-formatted text. Small - <small> Start tag: required, End tag: required Content appears as smaller-size text I am Small. Span - <span> Start tag: required, End tag: required A dummy element which contains in-line content. It is used with style sheets. I am inside a Span having a background color gold. Subscript - <sub> Start tag: required, End tag: required Subscript I am a Subscript. Superscript - <sup> Start tag: required, End tag: required Superscript I am Superscript. Underline - <u> Start tag: required, End tag: required Underline text. Note: The HTML 5 specification reminds developers that other elements are almost always more appropriate than <u>. I am underlined. Every canvas has a drawing context. Once we find a <canvas> element in the DOM (by using document.getElementById() or any other method), then we should call its getContext() method. You must pass the string "2d" to the getContext(). To explore more on canvas, go through HTML Canvas Reference and the Blog - LET’S CALL IT A DRAW(ING SURFACE). New elements for headers, footers, menus, sections and articles. Prior to HTML5, we have to arrange divisions (divs) in our Page and apply styles to them using their ID attribute. Now, we have specific tag for specific area of the Page. Note: The keygen tag is not supported in Internet Explorer. Note: The output tag is not supported in Internet Explorer. Note: The meter tag is not supported in Internet Explorer. New input types have been introduced in HTML5. Previously to get these kind of inputs, we had to implement scripts or jQuery Plugins, but now with these types, it reduces work load on developers. Most interesting thing about these types is that, validations are also handled implicity. As a developer, we know how much work we need to do validate data from a input field. So, let's discuss more on these types. The new input types are as follows. The color type is used to select a color from popup color picker. The date type allows the user to select a date. The datetime type allows the user to select a date and time (with time zone). The datetime-local type allows the user to select a date and time (no time zone). The email type is used for input fields that can contain an e-mail address. The month type allows to select a month and year. The number type is used for input fields that can contain a numeric value. The range type is used for input fields that can contain a value from a range of numbers. The search type is used for search fields, but behaves same as a Text field. The tel type is used for input fields that should contain a telephone number. The time type allows the user to select a time. The url type is used to generate input fields that can contain a URL address. The value of the url field is automatically validated while form is submitted. The week type allows the user to select a week and year. The comment tag is used to insert comments in the source code. Comments are not rendered on the browsers. Comments are usually inserted to explain code, which can help you when you edit the source code later. This is very useful to manage the code when you have a good amount of code. So, anything inside <!-- --> is interpreted as a Comment by browser. Good code is always well formatted. So, make sure your code looks good by doing correct indentation. If you are using any Tools for Development, search if that Tool contains some feature to automatically format the code. There is one online Tool, which can do this for you, that is jsfiddle. Write the HTML code inside HTML Box, then click on "TidyUp" option from the Menu. Let's see how it works. See the code, which seems unformatted. After we clicked the TidyUp Menu, it formats the code with correct indentation and spacing. While developing on Microsoft Visual Studio, you can use Shortcuts Control(Ctrl)-K-D. You need to press this combination at once. It will format your code and do the indentations for you, provided code is syntactically correct. HTML5 is not yet fully supported by all browsers. That is because browsers are implementing the new specifications as per their plan. You can also take a look at the "Browser Support" Section of each HTML Tag when you read it from W3Schools. First of all, thanks Code Project for the contest, otherwise this little article would not have been born. 31 March 2014 - Initial Version. Its Neat and very good for beginners, i will recommend this link to my team. Thanks a lot Karthik. Your comment made my day. Cheers!!! You are Rocking man, Keep going..
You are rocking too buddy. Very well written. Great job! 5 ed! Thanks a lot Agent__007. Finally got 5 starts from James Bond. Very well organised. I am not sure how I missed it all these days. Good work Tadit. I did not win with this article though. But you are a winner. I don't get much time to read articles, as I am in a full time job. But your articles are already on my TODO. I will go through them once I am free. I am sure Article 2 had more than 1 BEST ones. I can assure you that this article deserves as much applause as the one which won. No issues, appreciate adding them to your TODO. Also I can understand the constraints to churn out articles every week with a job, but I would definitely want to see you write more articles. Hope you will make time . Nice to meet you. Do you have any Social Profiles? We will be in touch. Thanks Karthy for the appreciation. Means a lot. Much appreciated. Great looking article, thanks for submitting Tadit! It is actually a contest. you can find many Articles on part 1 and 2 both. The winning articles will be decided on 4th April. Wait till then. I will again reply you about that. This is actually a great article. 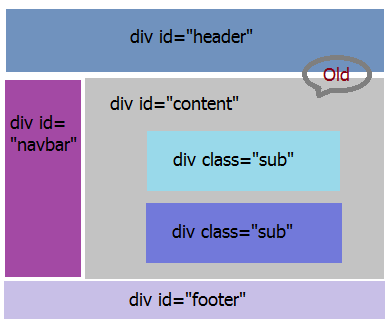 Great explanation of differences from old versions of HTML. Can't wait for the remaining parts.